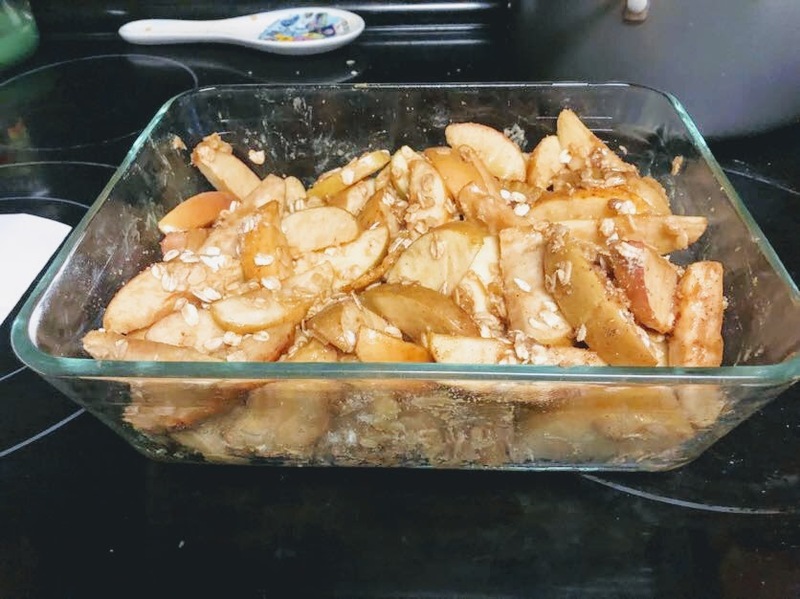 A friends perspective on going gluten free and an apple crisp recipe to go along with it. Hello all! Today I am so excited to give y'all a special treat! 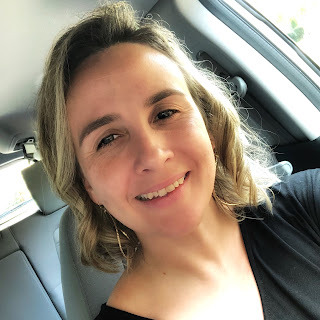 My sweet friend, that was a big encouragement to even starting this blog is writing for you, is sharing her thoughts on going gluten free, why she did and what that is like going into the holiday season. This subject is dear to my heart because I too have had to go gluten free for health reasons. It's been a few years for me so reading her perspective has been a great reminder of how hard and scary it can seem to someone new to it. I assure you, once you get the hang of it, you will no longer have the same thoughts. When you think about the Holidays, you automatically think about all the food that you’ll be eating. It can be exciting or it can be a bit precarious if you have dietary restrictions like being gluten free. This year presents a new challenge for me as I have recently decided to become gluten free. I pushed this decision off for a while, but after being on every kind of reflux medication and it only working some of the time- something had to give. I had to figure out what was causing it and my doctor honestly wasn’t any help. The prospect of going gluten free was a daunting one. I kept thinking about all the things I couldn’t have- like ordering pizza or having a big bowl of spaghetti (two of my favorite things in the world to eat). Let’s also not forget about the sweets- pies and cakes and cookies- I do not have a small sweet tooth either. It felt too complicated to even start but, I finally had to decide to just do it and move away from what I would be missing and shift my mindset to what I could experience eating that I had never been able to before. Not to mention, something had to give- my stomach cramps and reflux were getting worse and my reflux medication worked about 3 or 4 days out of the 7 days in a week- pretty unpredictable. It was time for me to try it. It’s been nearly four weeks since I started and I feel much better- the cramping days are gone- so I feel certain that gluten was the sources of my reflux. Although, I am still going to discuss it with my doctor on my next visit. Thanksgiving is now a few weeks away and that is definitely something that I hadn’t considered when I started on this journey. I didn’t want to inconvenience or ask my family to make any concessions, but I did want to stick to my gluten free path. So, I had to consider how I could contribute and participate in the holiday in this new way. My family is mostly older, with one tiny person, and a teenager, and this year we are head it to the beach for the week. Our Thanksgiving is small, but I’ve loved the transformation of traditions from the big spread to what we now do. It’s perfect for the size of our tribe. We all contribute one dish to the meal and I usually do sweet potatoes (which is already gluten free) but my favorite is my mom’s apple pie. Now, I like simplicity in eating and I am neither a chef nor a baker. So wanted to try a substitute that was easy to start and frankly being gluten free has forced my hand at being both of the previously mentioned roles. 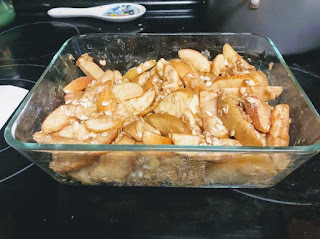 This year I asked if we could try making a gluten free crust, but also I am going to bring another option that we will focus on in this piece, the Gluten Free Apple Crisp from GVLGirlEats. Outside of the cutting of the apples, it was a pretty seamless process. I used Fuji Apples about seven of them. Then I added in my oats, brown sugar, flour, cinnamon, ginger, then cubed my butter (half a stick) into a big mixing bowl. Then I popped into the oven in a deep dish glass pan. I had to remix it after bringing it out to get a all the apples cooked. The next time I do this, I’ll make sure to use a less deep dish, but overall it was delicious and one I am looking forward to perfecting and putting my own spin. Gluten Free Life doesn’t have to be all bad- you just have to put a new lens on your limitations and view them as opportunities to try new things or old things in a new way. Hope you enjoy the recipe if you decide to try it. Bake at 375 until brown on top, about 15-20 minutes. 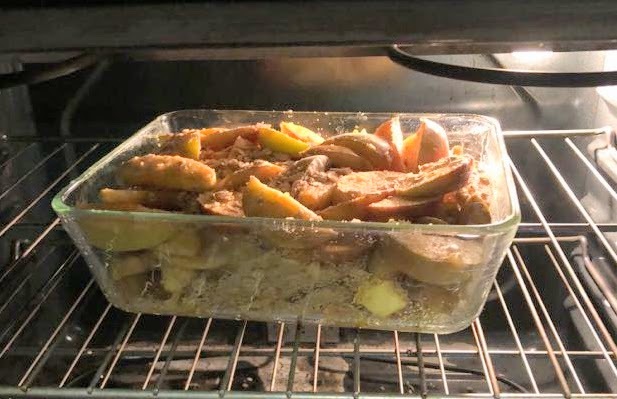 Elizabeth's notes on the recipe: I like my apples peeled but that's up to you, and I like to place the apples in the rectangular dish, sprinkle a little extra ground cinnamon and ginger over, stir that, then mix the crumble in a separate bowl and sprinkle that on top of the apples, leaving that all on top. That is my personal preference, you do you! I hope you've enjoyed hearing from Juliann, and that this recipe and perspective will help you on your gluten free journey. Let me know what you think! They sure do!! I'd love to know how it turns out once you make it! !